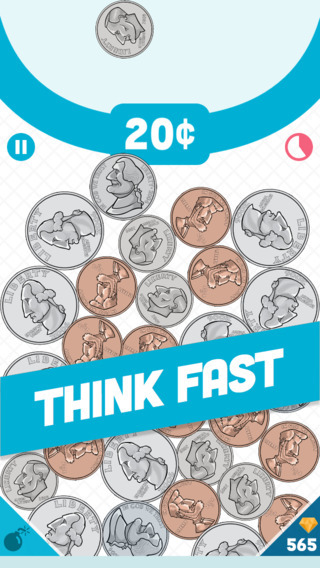 Coin Crash, a fun new app is out (for free) on the iTunes App Store, featuring my cartoon coins artwork. The game was developed by Ben Morrison, and Ben licensed the cartoon coin artwork from me to feature in his game. 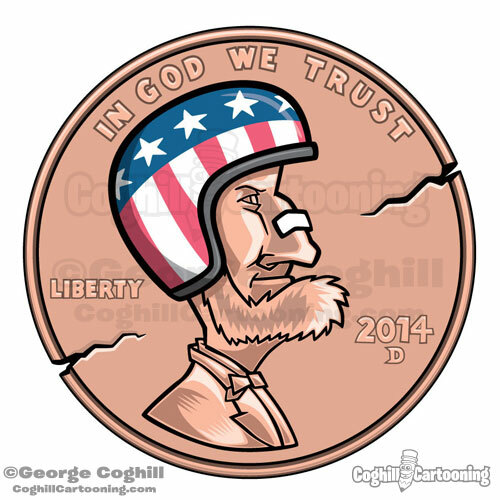 Ben and I also worked out a deal so we could feature a custom version of the cartoon penny artwork in the logo, and the result was this fun version of a cartoon penny with Lincoln wearing a daredevil crash helmet inspired by Eval Knieval. A bandage across the nose and a few cracks to round off the “crash” theme as well. You might also enjoy this customized Penny Pincher cartoon penny I created for a previous client.